Israeli researchers said Thursday they have surveyed what they now believe to be the world’s longest salt cave, a network of twisting passageways at the southern tip of the Dead Sea. A recently completed survey of the Malham Cave determined the labyrinthine cavern stretches more than 10 kilometres in length. That puts it well ahead of Iran’s Namakdan Cave, previously thought to be the longest salt cave. 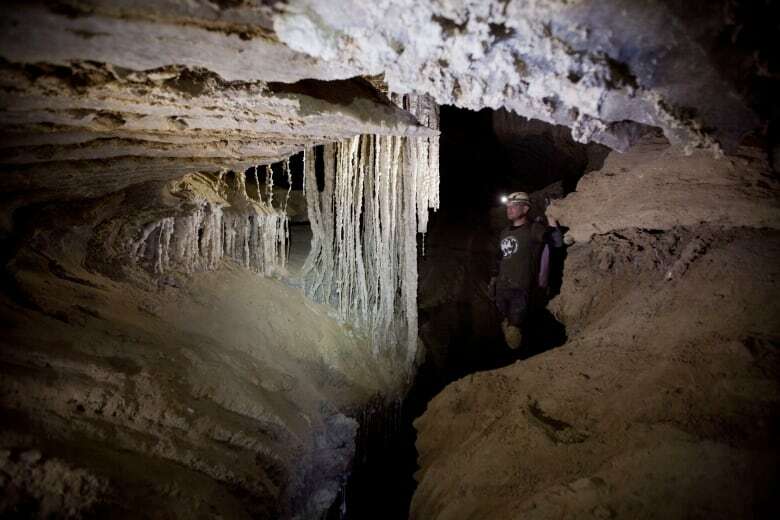 Boaz Langford, a researcher at the university’s Caves Research Center, and Antoniya Vlaykova, a Bulgarian cave explorer from the European Speleological Federation, headed the expedition. “What’s unique about this cave, as opposed to other salt caves in the world, is that it’s the longest in the world,” Langford said, resting in a chamber of the cave dubbed the Wedding Hall for its salt stalactites. Namakdan, which is about six kilometres in length, was identified as the longest salt cave after a study by Czech and Iranian scientists in 2006. Salt caves are unusual and rare geological features. Because salt is highly water soluble, large salt deposits do not normally survive long on the surface. Only a handful of salt caves are larger than a kilometre in length. Salt caves tend to only exist in highly arid regions, like the area around the Dead Sea, which is at the lowest point on Earth and is too salty to support animal life. The Dead Sea and Mount Sodom were formed by tectonic activity, the shifting of the Earth’s plates at the northern end of the 6,000-kilometre Afro-Arabian Rift Valley. Over millions of years, successive flooding of the deep depression lay down thick layers of salt. The Malham Cave’s main outlet yawns not far from a salt pillar named “Lot’s wife,” after the biblical character who was petrified for looking back at the destruction of the cities of Sodom and Gomorrah. 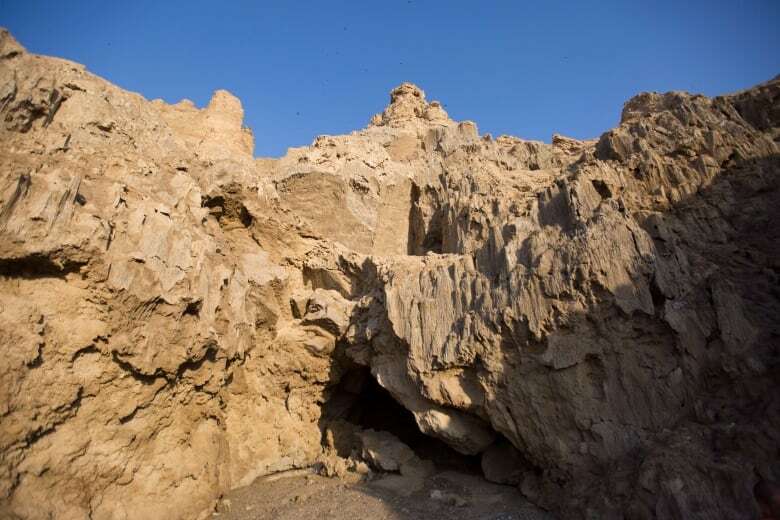 On the mountainside above, Langford, Vlaykova and their colleagues have identified at least 19 openings where seasonal floods have percolated through Mount Sodom’s rock salt to form the cave. “All the stalagmites and stalactites, their beauty, their colour — they’re really white, they’re shining, they’re amazing,” Cohen said. 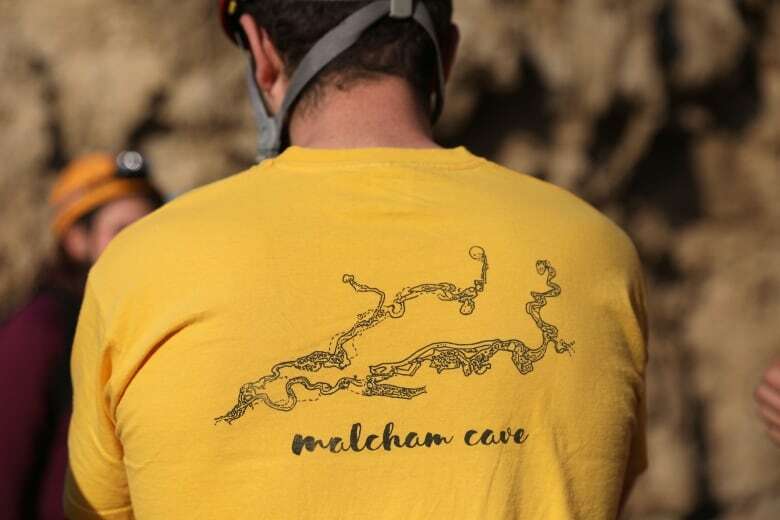 Frumkin said studying the cave’s formation has provided researchers with information about the climate of the region over the past 7,000 years, and how that has affected the emergence of civilization. Jericho, one of world’s first cities and an epicenter for the development of agriculture, is around 80 kilometres north of the Malham Cave. Although the scientists have completed their study, more of the cave is undiscovered, Frumkin said.